> Blog > Mobile Checkout is Vital for the Holidays — is Your Store Secure? When is the last time you went shopping and didn’t take your smartphone out for one thing or another related to the shopping or checkout experience? It seems difficult to remember what shopping was like before the advent of online coupons, customer loyalty apps, and mobile wallets. Indeed, shoppers have grown quite accustomed to the conveniences that their mobile devices can add to the checkout experience. With the holidays approaching, they’ll be relying on their phones even more for mobile checkout activities. When your customer is ready to make a purchase, it’s imperative that you have a reliable and seamless point-of-sale system. Your cellular signal is integral to supporting a fast, convenient and secure checkout process. A reliable cellular connection also enables you to quickly access customer information between all of your business’ locations. This is important to give your customers the option of exchanging or returning items to any of your stores, particularly during the busy holiday season. A slow or inefficient checkout process can result in frustrated customers and can be costly to your store’s reputation. If you’re dealing with spotty or unreliable cellular signal in your store, it will certainly cost you customers and valuable revenue this holiday season. As a retailer, maintaining the security of your customers’ sensitive personal and financial information can be one of the most challenging aspects of operating a business — particularly during the holiday rush. But it’s a challenge you must meet, and failing to do so can mean the end of your business. 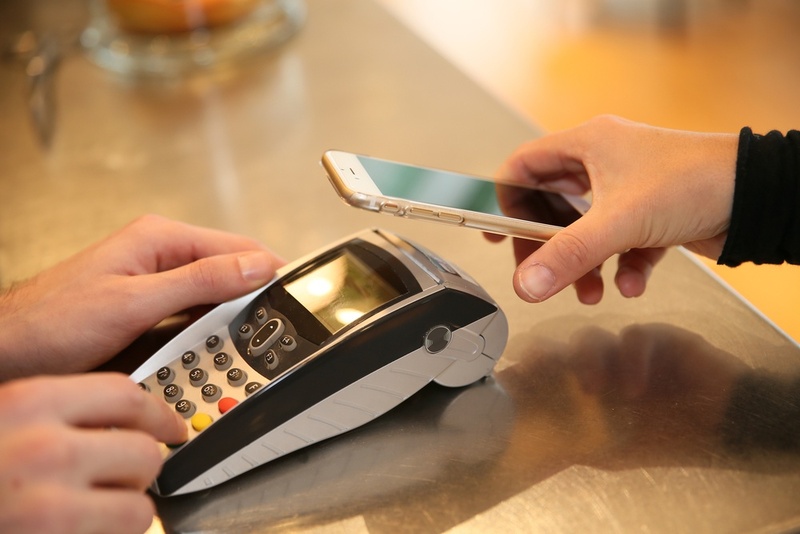 If you’re largely relying on Wi-Fi to facilitate any of your mobile checkout processes, you’re still putting your card-paying customers at risk. Even a password-protected Wi-Fi network poses a threat without proper firewalls and security measures in place. Secure network passwords are often shared among employees and with customers, exposing even a seemingly safe network. Using Wi-Fi also means an unsecure credit card validation process, thereby increasing fraud rates and potentially compromising your customers’ financial information. The harsh reality is that a security breach could ultimately cost you your business. Case in point: Target’s 2013 customer data breach illustrated every retailer’s worst nightmare. The breach left 40 million customers’ data at risk, and ultimately forced the company to settle on a $39 million class-action lawsuit. Since most retailers aren’t the size of Target, breaches can be even more devastating to smaller businesses. In 2016, there were a record number of data breaches in this country, with the Identity Theft Resource Center logging 1,093. Many of those included retailers who had often inadvertently exposed their customers’ data to risk. Although cash is the only way to ultimately guarantee a completely secure transaction, only 9 percent of people prefer to pay in cash, according to a survey from non-profit cybersecurity group ISACA. And when it comes to keeping your customers’ information secure and providing them with the convenient shopping experience they expect, you certainly can’t expect them to pay in cash and only use printed coupons. The good news is that you don’t have to accept poor or non-secure cellular signal in your business. The key is to identify the culprit and find a solution. In retail spaces, it’s the building materials that are typically responsible for killing the cellular signal indoors. While a strong signal may exist outside of your retail space, materials including brick, concrete, and steel inhibit that signal from coming inside. With the use of a cell signal booster, you can bring that strong outdoor signal into your store. A passive DAS (distributed antenna system) solution captures strong outdoor cell signal and brings it into your retail space, amplifying it by as much as 32 times. That means a more enjoyable shopping experience for your customers and a seamless and secure mobile checkout process. Ultimately, your customers want to checkout and pay in the easiest and most convenient manner possible. They expect the purchasing process to be just as seamless and secure as if they were shopping online. And they expect to be able to use mobile apps such as Apple Pay. That means that your store must be ready to give them an excellent customer experience while providing the peace of mind that their transactions will be secure. 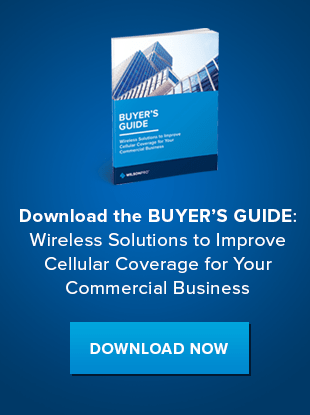 If you’d like to learn more about cost-effective solutions to improve the cell signal in your retail space, contact WilsonPro today. Our passive DAS solutions will ensure that your customers receive the level of convenience and security they expect when shopping in your store this holiday season.